We’d love your help. Let us know what’s wrong with this preview of A Rancher to Remember by Karen Rock. To ask other readers questions about A Rancher to Remember, please sign up. A Rancher to Remember is book six in the Rocky Mountain Cowboys series by Karen Rock. Each of these books can easily be read as stand alones. I have not read any of the previous books and it did not take away from this story at all. The characters are recurring in each book so that is the only draw back. That I don’t have a connection to the secondary characters. Cassidy Fulton is a conflict journalist. For the last ten years, she has traveled the world, risking her safety to get stories from the worst of conditions. Her life consists of one dangerous story after another. Cassidy’s father always urged her to be the best, to always keep striving for a better story, higher accolades. Ten years ago, Cassidy was all set to accept a different kind of life with the man she had fallen in love with. Until everything changed. Now she doesn’t even keep a permanent address but lives life out of a suitcase. But then everything changed the night she got that phone call. Daryl Loveland thought he had the perfect life with his wife and two adorable kids. He works the ranch in his hometown of Carbondale, Colorado. For the last eighteen months, his wife has been pulling away, disappearing. He has tried everything but she doesn’t seem to want to fix things. He knew this time was different. He couldn’t find her anywhere. Until they let him know that she was killed. And in the car with her was her sister, the woman he had loved and lost ten years ago. Cassidy wakes up in a hospital in her home town. She has no memory of what happened. The last she remembers she was on assignment. Daryl is desperate for answers. Why was Cassidy back and why was she with her sister, his wife? But Cassidy can’t remember. Cassidy has no where else to go so he takes her home to his house to recuperate and hopefully regain her memory. It also gives her time to spend with his kids, her niece and nephew. As Cassidy heals, she also is able to help her niece and nephew heal from the loss of their mother. She is determined to keep her heart locked down where Daryl is concerned. But the longer they are together, the more they both realize that those same feelings are still there. That they never died. This is a second chance romance with a touch of intrigue as Cassidy and Daryl try to unravel the details of not only what caused his marriage to fall apart, but also what happened that mysterious night she died. There are also some other conflicts happening that are continuing within the series. A mysterious man claiming to be a part of their family. And the health of their matriarch, Joy. Daryl’s two kids, Emma and Noah, are adorable. This was such a sweet book but as I said, there is that hint of mystery as well. I loved meeting all of these family members. This is classified as a clean romance with nothing more than some passionate kissing involved. You will fall in love with these characters as well as their entire families. The only thing I missed was an epilogue. I would have enjoyed a look into their future. But I assume that that will happen in further books in the series. This was such a lovely book, so beautifully written and I enjoyed it so very much. For more about this book and so many more, come and visit me at Carol's Crazy Bookish World. He proposed, she said let me think and then comes back to say yes only to find out he’s marrying her sister cause he made her pregnant? And this is romantic? He’s somehow worth forgiving????? And do not, I repeat DO NOT give me your BS about values of family, forgiveness and unconditional love. If forgiveness means taking cheaters back in your life when he really didn’t regret much, it is not a trait that is necessary in the world. And unconditional love, thanks to these “romance” novels starts s He proposed, she said let me think and then comes back to say yes only to find out he’s marrying her sister cause he made her pregnant? And this is romantic? He’s somehow worth forgiving????? I am so over these plots where the heroine is expected to forgive horrible betrayals because that's the ~right~ thing to do, sometimes betrayals are too deep, and while you may be able to forgive you dont have to get back with that person. I think authors, especially female authors, need to stop doing these plots that have no basis in realism. Very few women would get back with a man who slept with her sister behind her back. I would also bet the heroine was celibate bc she was married to her wo I am so over these plots where the heroine is expected to forgive horrible betrayals because that's the ~right~ thing to do, sometimes betrayals are too deep, and while you may be able to forgive you dont have to get back with that person. I think authors, especially female authors, need to stop doing these plots that have no basis in realism. Very few women would get back with a man who slept with her sister behind her back. I would also bet the heroine was celibate bc she was married to her work, while he had a great life with her sister. These types of books continue to perpetuate horrible messages, and until a book can be written where a man has to forgive a woman for sleeping with his brother, and readers embrace it, this plot needs to disappear or we will live on in this world where heros get away with murder and heroines are made into doormats. So anyway… back to the book. Brace yourselves for one crazy complicated story of love, betrayal, hurt, anger, and shocking circumstances that ultimately lead to a dramatic plot twist that had me rereading immediately. A Rancher to Remember is a broken-hearted yet sweet second chance romance filled with a raw emotion that will keep the pages turning. I lovey lovey love this series! It has all sorts of hunky alpha males and strong females lighting up the pages. I've grown attached to the Cade and Loveland families because while each book focuses primarily on one person, the whole family is still around and showing up on the pages. It gives the series a real sense of family and home. I don't think you have to read this series in order but you will definitely be happier if you do. Daryl and Cassidy have history. It's as painful and difficult to I lovey lovey love this series! It has all sorts of hunky alpha males and strong females lighting up the pages. I've grown attached to the Cade and Loveland families because while each book focuses primarily on one person, the whole family is still around and showing up on the pages. It gives the series a real sense of family and home. I don't think you have to read this series in order but you will definitely be happier if you do. Daryl and Cassidy have history. It's as painful and difficult to navigate as the present. Old feelings and new feelings collide and it's stressful! I'm talking about me here. It was stressful for me. haha. I was personally invested in both Daryl and Cassidy. I wanted them to figure things out, heal old wounds and be happy. It was a roller coaster of emotions and wow, did things end in a dramatic way! This book and it's characters were completely different than any of the other books. It felt fresh and exciting. I loved it! A Rancher to Remember boasts bursts of white-knuckle action, two hurting kids, and a potential second-chance romance soaked in grief and regrets. This sixth installment of the Rocky Mountain Heroes series is an excellent book club selection thanks to the many topics and situations to spark discussion. If this story was a movie, I would definitely watch it and it would be a great pick for a ladies’ night in! If you enjoy steamy kisses, good folks, and healthy doses of conflict (and reconciliation) in your stories, A Rancher to Remember fits the bill! There’s never a dull moment with the Cade and Loveland crew and this is yet another entertaining addition to this series. I voluntarily reviewed an Advance Reader Copy from the Prism Book Tours. This does not affect my opinion of the book or the content of my review. Cassidy and Daryl have a lot of things to work through. Are they able to? 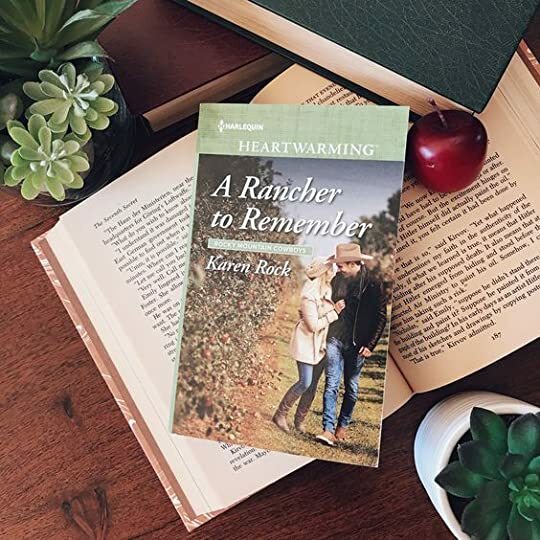 A Rancher to Remember by Karen Rock is an excellent Harlequin Heartwarming novel. I am very excited that I got to read this book and at one point I am going back to read the other books. Cassidy is a great character, and so is Daryl. I love the setting in Colorado. 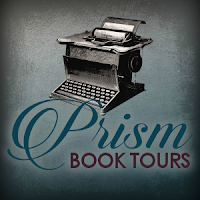 Cassidy Fult I voluntarily reviewed an Advance Reader Copy from the Prism Book Tours. This does not affect my opinion of the book or the content of my review. Cassidy and Daryl have a lot of things to work through. Are they able to? Cassidy Fulton is the main female character who is leading an extraordinary life. She is a journalist who goes off to far away places to expose their truth. Cassidy left a life behind in Carbondale, Colorado when she was in her early twenties that Cassidy never thought that she would get back. That is until she wakes up in the hospital missing the last six days and not knowing why she is back in the States. She is a great person who needs more than what she thought enough for her and being back home reminded her of that. What I like about Cassidy is that she is stubborn to a default especially about her sister’s widowed husband, Daryl Loveland, and their kids. Cassidy knew that she didn’t want to stay with Daryl, but if he used her niece and nephew against her, she would crack. Cassidy is fabulous at her job, but now she knows that she needs more than just a career. She is home now. Daryl Loveland is the main male character who is a rancher, a widow, and a father to two amazing kids. He has been trying to juggle a lot of things for quite a while especially around his kids. Daryl is trying to give them a better life than he had. Daryl is another great character who has a great family helping him if he just let them in. What I like about Daryl is that he is trying to do well in a lot of things. He is providing a stable home environment for him and his kids. That is the one thing that he has always wanted if he ever had any kids. Daryl is also very protective. It doesn’t matter who you are to him as long as he cares for you; he would want to protect you. Daryl is a great guy who needs someone to love him as much as he does that person. A Rancher to Remember by Karen Rock is a great book to get sucked into. Cassidy and Daryl have a great love story, one that can bring a person to tears. I am giving this book a five-star rating and recommending it to everyone that reads clean romances. I adored this story. To find the tour schedule, each stop with exclusive content, and all the tour information click the banner at the top of the page. Thank you for dropping by! I hope you enjoyed this review of A Rancher to Remember by Karen Rock. Don't forget to enter the giveaway! So, I’ll be honest here. I had my doubts about how much I would like this new Karen Rock book but as a fan of the Loveland and Cade clans, I wasn’t about to miss it. Y’all, Rock blew me away with this book. Why, you ask? Well, I’ve got a few things to say about it. First, my biggest concern after reading the description was a (very recently) widowed man falling for his first love, who also happened to be his deceased wife’s sister? Yeah, that sounded like too much too soon. But nope, Rock gave a So, I’ll be honest here. I had my doubts about how much I would like this new Karen Rock book but as a fan of the Loveland and Cade clans, I wasn’t about to miss it. Y’all, Rock blew me away with this book. Why, you ask? Well, I’ve got a few things to say about it. First, my biggest concern after reading the description was a (very recently) widowed man falling for his first love, who also happened to be his deceased wife’s sister? Yeah, that sounded like too much too soon. But nope, Rock gave a believable backstory to that, and the history Cassidy and Darryl share just enhances their attraction and admiration for each other. Darryl is so determined to do the right thing, to live up to the Loveland name, that he often sacrifices his true desires for others around him. But he is most definitely one of the good guys. I mean, how can you not love a cowboy whose kids are his everything? And Cassidy? Well, despite her globe trotting photojournalism career, this woman has a tender heart and cares just as much for those kids. Of course, in true Karen Rock fashion, there’s also plenty of stoic Loveland siblings, hot-headed Cade siblings, and some family drama that remains to be solved in future books. 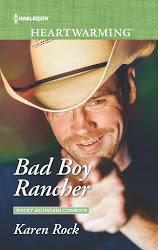 A Rancher to Remember surprised me in the best kind of way with Rock’s ability to deliver solid stories with tough issues, family ties that are almost unbreakable, and lots of heated kisses for the romantic in her readers. 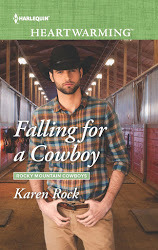 With her Rocky Mountain Cowboys series, Karen Rock has become one of my favorite authors in the Harlequin Heartwarming line of clean romances. A Rancher to Remember can stand alone although it’s #6 in the collection, but series readers will enjoy reuniting with the Cade and Loveland families. The characters and back stories of these two families are intricately woven and their “happily ever afters” are not easily won. Aside from the obvious cowboy attraction, what I like most is their humanness – weakness, pride, and misunderstandings, tempered with caring, sacrifice, kindness and love. A Rancher to Remember is all about Daryl and Cassidy, sister of his deceased wife. Daryl Loveland was introduced in a previous book and I’ve been drawn to the story behind his troubled marriage ever sense. Cassidy is a fascinating lady herself – a strong, courageous and talented photo journalist – with a previous romantic attachment to Daryl. I loved the realness and complexity of this story’s family relationship drama – how serious, life-altering mistakes were made, followed by a determination to make things right, all with the hope and promise of grace, forgiveness, and new beginnings. Daryl and Cassidy have great chemistry, stronger than their reluctance to let the other in. And there’s so much more to come from the Cades and Lovelands! Two secondary themes captured my emotions – Joy’s cancer diagnosis and a character claiming to be a family member and co-inheritor of Boyd’s ranch. I’m also drawn to Sierra Loveland, who has a wildlife veterinarian practice, and want to see more of her. I recommend A Rancher to Remember, as well as the whole series, to all who enjoy a clean romance with character depth. "A Rancher to Remember" is a second-chance (and complicated) romance between Daryl Loveland and Cassidy Fulton. Daryl and Cassidy were dating in college. After Daryl proposed, Cassidy took some time to think about it while she was on a journalism case. When she returned, Daryl was married to her sister Leanne, who had gotten pregnant with his child. Cassidy has since been on the road, chasing down truths and fighting danger around the globe. Cassidy remembers receiving a phone call from her sist "A Rancher to Remember" is a second-chance (and complicated) romance between Daryl Loveland and Cassidy Fulton. Daryl and Cassidy were dating in college. After Daryl proposed, Cassidy took some time to think about it while she was on a journalism case. When she returned, Daryl was married to her sister Leanne, who had gotten pregnant with his child. Cassidy has since been on the road, chasing down truths and fighting danger around the globe. Cassidy remembers receiving a phone call from her sister, but nothing that followed until she wakes up in a hospital with a concussion that has left her with a few days of retrograde and anterograde amnesia. Leanne died in the accident. Grieving and searching for answers, Daryl invites Cassidy to stay with him and the kids while she recovers. Reluctant to be around the man she loved (and still loves, if she can admit it) but not having anywhere else to go, Cassidy agrees- she also wants to help her grieving niece and nephew. Facing their own misgivings and feelings of inadequacies, Daryl and Cassidy both have a lot to think about and work through. Both are in need of healing, in part through truths that only Leanne could give them. While this book could have focused on the bad about Leanne, it manages to portray her in a better light than what we saw in past books- things were not as they seemed. All three of them were thrust into difficult situations. Moving forward is not going to be easy, but together, they find love as a path forward. Another big theme of the book was finding a work-life balance. Cassidy had planned in the past to drop her career to start a family with Daryl. However, when Daryl married Leanne, Cassidy then threw herself into her career as a journalist and has become quite successful. While it's not always perfect, she does enjoy it. Being with Daryl and kids makes her (and Daryl) question her lifestyle. I don't want to spoil it, but I really love the way this was resolved, keeping Cassidy's agency and not making it work OR life. Rock does a good job of infusing some light feminism into fantastic romances, and I applaud her for it! Oh, I just love this series! I have now read book five, Winning the Cowboy’s Heart and book six, A Rancher to Remember. However, I just bought books two, three, and four at my local bookstore, and am very excited to read more about this wonderful family! I felt so sorry for these two main characters. They were ripped apart from each other years ago and there was definitely a lot of tension between them. Now, both are buried in grief and trying to help Daryl’s children learn to not only cope, but Oh, I just love this series! I have now read book five, Winning the Cowboy’s Heart and book six, A Rancher to Remember. However, I just bought books two, three, and four at my local bookstore, and am very excited to read more about this wonderful family! I felt so sorry for these two main characters. They were ripped apart from each other years ago and there was definitely a lot of tension between them. Now, both are buried in grief and trying to help Daryl’s children learn to not only cope, but flourish. Daryl and Cassidy seemed so perfect for each other in some ways, yet polar opposites in others. I truly wasn’t sure how the author was going to pull this happily-ever-after off, but she did! I enjoyed reading this story from the first page to the last! I read this story immediately after reading "Winning the Cowboy's Heart" which is book 5 in the Rocky Mountain Cowboys series. I have really enjoyed this series and this story was really good with a nice steady pace. Readers are briefly introduced to Daryl Loveland as a secondary character in book 5 along with his 2 children and wife. We are left wondering what kind of strained marriage Daryl and his wife have and what happened to Daryl's sister in law Cassidy, who Daryl dated in college. This s I read this story immediately after reading "Winning the Cowboy's Heart" which is book 5 in the Rocky Mountain Cowboys series. I have really enjoyed this series and this story was really good with a nice steady pace. This story had great characters (Cades and Loveland families), clean romance, funny, and some sad tragic life events that the characters had to work thru with faith and diligence. I highly recommend this book and hope to read more from this series and author. Once I started reading it, I had a hard time putting it down because the characters and setting were really enjoyable. Who wouldn't like an inspirational, fun, easy to read, cowboy book?! A Rancher to Remember is the sixth installment from Karen Rock’s Rocky Mountain Cowboys series. I have read three of the books of the series and have not felt as though they need to be read in order and can be read as stand alone. I have loved the ones I have read and this one does not disappoint. I loved Daryl and Cassidy’s story. I thought they were so sweet and fun together. I found their chemistry was undeniable. I had no problem to stay focused on the book and keep reading. I had it read fr A Rancher to Remember is the sixth installment from Karen Rock’s Rocky Mountain Cowboys series. I have read three of the books of the series and have not felt as though they need to be read in order and can be read as stand alone. I have loved the ones I have read and this one does not disappoint. I loved Daryl and Cassidy’s story. I thought they were so sweet and fun together. I found their chemistry was undeniable. I had no problem to stay focused on the book and keep reading. I had it read from cover to cover in one day. I am giving A Rancher to Remember five plus stars. 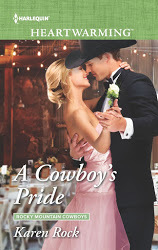 I am hoping to read the previous books I have missed in the Rocky Mountain Cowboys series to see what I had missed. I recommend this book for readers who enjoy sweet, clean and heartwarming romances. The reader is immediately immersed into the heat of the action, the suspense, the horror, the intensity... exactly the style of writing I love! No chance of getting bored with this book! Fast-moving, gripping. Although things take a quick turnaround, the fast-paced writing continues. The same writing style for all of the previous books in this series returns and many of the characters from those stories make appearances. When two people feel unworthy and indebted to the people who raised them, they do everything in their power to measure up, even if it means sacrificing their own happiness. But do they realize the cost of their actions? Will they ever be able to see themselves as worthy just because of who they are? Will they ever learn to stop chasing after the perception of success and worthiness and just give into their own happiness and find true love in the process? Or will they continue denying themselves and run away? A RANCHER TO REMEMBER by Karen Rock is the sixth book in the Rocky Mountain Cowboy series. It’s the emotionally charged second chance romance of Cassidy Fulton and Daryl Loveland in Carbondale, Colorado, home of the Lovelands and Cades - no longer feuding but joined as one big extended family. Cassidy and Daryl were sweethearts in college who found more to love about each other than their love for photography. 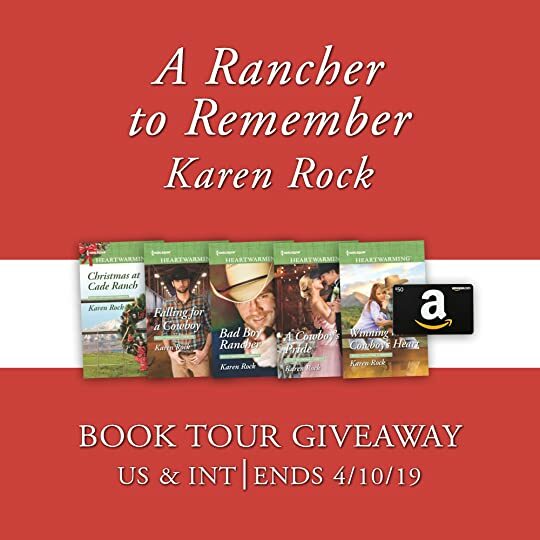 Separated by different directions in life that were set in unyielding cement when Cassi A RANCHER TO REMEMBER by Karen Rock is the sixth book in the Rocky Mountain Cowboy series. It’s the emotionally charged second chance romance of Cassidy Fulton and Daryl Loveland in Carbondale, Colorado, home of the Lovelands and Cades - no longer feuding but joined as one big extended family. Cassidy and Daryl were sweethearts in college who found more to love about each other than their love for photography. Separated by different directions in life that were set in unyielding cement when Cassidy, whose ambition to succeed had taken her out of the country on assignment, returned to find that Daryl had gotten her sister, Leanne, in the family way and doing the right thing had married her. Cassidy had felt push all her life to succeed, to be more than she was by her father. After he has sacrificed so much, she felt obligated to be the best, to reach higher, and to risk more to obtain even the slightest sign of acknowledgment from her father. In doing so, she lost the love of her life and her sister, both of whom she could never forgive. As an unwanted child and never feeling completely accepted or belonging even though he had been adopted into a loving home, Daryl was determined not to be the same type man his father was. He manned up and married Leanne to give his child the love and attention he had always longed for. He never regretted the two wonderful children Leanne and he had. He loved them wholeheartedly and tied to be the loving husband he knew he should be. He was set on working to make his marriage work to keep his family unit together. However, Leanne had disappeared again and this time it wasn’t a night out on the town. Where was she and why did she take a suitcase this time? In the blink of an eye everyone’s life changed. There was an automobile accident. Daryl’s wife died leaving his children motherless and suffering. Cassidy survived but with no memory of why she was back in the states, how she got there or why she was with Leanne who she wasn’t even speaking with. Badly injured and with no place to go, Daryl suggests she come home with him since her niece and nephew loved her so as well as needing someone after losing their mother and just until she could get her memory back so both of them could find some answers and heal emotionally. Will Cassidy get her memory back? Will it help with closure for all of them? Can they chance their hearts with memories of the past while living in the present? How can she love someone she’s avoided and been so mad at for so many years? How can he handle being left again? As the two kids worm they way into not only Cassidy’s heart but her life, will she find there is more excitement in “normal” everyday living than dangers of hunting down the next big headline? Will she be able to leave for the next assignment? She can’t wait too long or get too attached. She must stay objective. Karen Rock does an outstanding job of writing this second chance romance. Absolutely FIVE STARS! She tells this story is such detail that you feel like that preverbal fly on the wall while pulling at all your emotions. You want Cassidy and Daryl to work it out, but you can also see how it could be impossible. So many pitfalls, but Karen builds a bridge over them at the great joy of us readers, albeit with a bullet wound or a tender kiss. Definitely an exceptional story and a great addition to the Loveland/Cade stories in the Rocky Mountain Cowboy series. A RANCHER TO REMEMBER can definitely be read as a standalone. If you haven’t read the others in the series, this book will have you scrambling to read the others. I know I am already looking forward to the next book with great anticipation. this is Cassidy Fulton and Daryl Loveland's story. Growing up near Carbondale, Colorado, she’d worked on enough cattle ranches to know the only thing stopping a beast from killing you was convincing it to fear you instead. It was mind over matter. An hour later she hunched before her laptop inside her hotel room. Her fingers flew as she transcribed the day’s notes. To his relief, they nodded without looking up from their homework. No signs of stress. No deviating from the routine he’d established to provide his teetering family stability. He ducked into the bathroom, shut the door and flipped on the shower. The phone slid in his damp palms as he dialed the next number on his list. “Hey, Kevin. Daryl Loveland calling. Was wondering if my wife was at your bar today.” He paced the narrow, tiled floor. I voluntarily reviewed an Advance Reader Copy of this book." A RANCHER TO REMEMBER by Karen Rock is a wonderful well written 5 star book. The reader is immediately swept up into Karen Rock's romance, A Rancher to Remember, as Cassidy Fulton risks her life to expose corruption in the Philippines, and the intrigue continues as she struggles to piece together the missing sections of her life after returning to her hometown of Carbondale, Colorado. And although her circumstances are completely different there, with the past staring her in the face, Cassidy's future feels as uncertain as it did when she was fleeing bullets in the islan The reader is immediately swept up into Karen Rock's romance, A Rancher to Remember, as Cassidy Fulton risks her life to expose corruption in the Philippines, and the intrigue continues as she struggles to piece together the missing sections of her life after returning to her hometown of Carbondale, Colorado. And although her circumstances are completely different there, with the past staring her in the face, Cassidy's future feels as uncertain as it did when she was fleeing bullets in the islands' tropical forests. Having received a mysterious message from her estranged sister, Leanne, Cassidy suddenly finds herself in the hospital, seriously injured, but she can't remember the car accident that put her there and killed Leanne. Cassidy has much to mull over as she slowly recovers and, staying in the home of her former fiance, Daryl Loveland, who was also her brother-in-law, is extremely awkward--especially since she must fight the deep-seated feelings she still has for him. 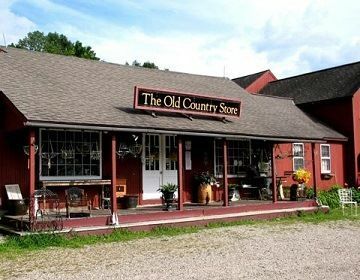 Family loyalty runs strong in the Loveland clan, and Daryl holds himself to some high standards concerning their ranch and the memory of his late wife, while Cassidy is determined to respect her sister, even though they'd gone years without communicating. In addition to this internal conflict, she feels the nearly constant call to return to her journalism career, traveling to dangerous locations, helping the world to be a better place while proving her self-worth. Cassidy finally comes home to Carbondale, but because of an accident she had with her sister, her sister is dead and she has no memory of the incident or even why she was back in town. Darryl is Cassidy's former boyfriend, and now the widower of her dead sister. After Darryl proposed to Cassidy, she left saying she had to think about it. By the time she came back with her answer she found out he had impregnated her sister and married her. I know there is some controversy over I enjoyed this story. I know there is some controversy over the forgiving a cheater etc. But it is fiction, and although I did struggle a bit with Darryl being so quick to jump into bed with Cassidy's sister, I thought about it and how he was feeling rejected, not really expecting Cassidy to come back, and being drunk (I know, not an excuse, but it is fiction here), and I was able to get past that and understand since he owned his mistakes and was just trying to be a good father to his kids and trying to right his wrongs. I liked the characters. I enjoyed how strong Cassidy was throughout the story and how she didn't just let Darryl off the hook. Learning about her sister through her sister's email accounts really helped put all the pieces together. I love Ms Rock’s romances, simply because her stories seem to flow effortlessly from her pen, her ability to pinpoint insecurities about her characters and why they behave the way they do. She makes her characters lively, real and extremely likeable. I loved reading about ‘tough-as-nails” reporter Cassidy and her out-of character role as aunt Cassidy, trying to figure out what her real character would be. I loved reading about Daryl, about how he dutifully fulfils his part in the Loveland househ I love Ms Rock’s romances, simply because her stories seem to flow effortlessly from her pen, her ability to pinpoint insecurities about her characters and why they behave the way they do. She makes her characters lively, real and extremely likeable. I loved reading about ‘tough-as-nails” reporter Cassidy and her out-of character role as aunt Cassidy, trying to figure out what her real character would be. I loved reading about Daryl, about how he dutifully fulfils his part in the Loveland household, towards his father, the ranch and his children- abandoning his dreams. All the little character traits that make Ms Rock’s characters so lifelike: an aim to please parents, duty before pleasure, family first, help people whenever you can and so on and so forth. I love Cassidy, because she as a reporter shows what ugliness there is in the world, just like my husband did years ago. I love Daryl, because he’s an epitome of a wholesome rancher, tough, a wonderful father and an even more wonderful son. The story is as follows: Cassidy Fulton, a globe-trotting journalist or reporter returns to Canondale, Colorado. She can’t remember why she is back and why her estranged sister is killed in a car-accident in which she also was involved. Because Cassidy has nowhere to go, she agrees to come home to Daryl Loveland, her brother-in-law and former fiancé, to heal her wounds and take care of his children. They try to overcome their grief, while Cassidy tries to remember why her sister summoned her back to Canondale. In the meantime Daryl and Cassidy seem to work well together, as well as with household chores, taking care of the children and even a local journalistic job. After a while, Cassidy can’t imagine her life without Daryl or her adorable niece and nephew. But can Canondale be her forever place? A Rancher to Remember was a heartbreaking read of love lost and found and of letting go even when it is too soon. 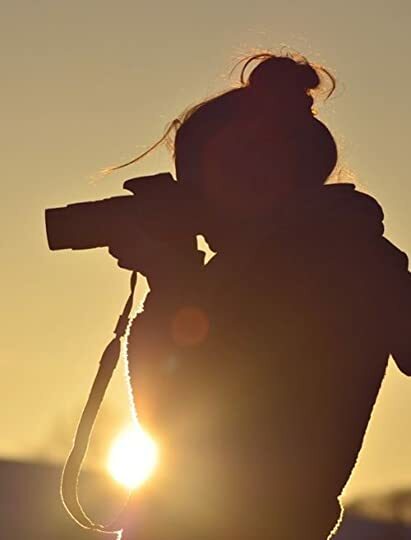 We first meet photo journalist Cassidy Fulton in her element, trying to uncover the truths of people groups suffering and to get that truth out in the world. This was quite an action packed scene and really showed a part of Cassidy’s character. The other part of Cassidy’s character is shown when she comes back home to piece back her memory after a recent car accident and the death of A Rancher to Remember was a heartbreaking read of love lost and found and of letting go even when it is too soon. We first meet photo journalist Cassidy Fulton in her element, trying to uncover the truths of people groups suffering and to get that truth out in the world. This was quite an action packed scene and really showed a part of Cassidy’s character. The other part of Cassidy’s character is shown when she comes back home to piece back her memory after a recent car accident and the death of her estranged sister. How she copes with her niece and nephew is heartwarming and the love she has for them is genuinely felt. The mixed feelings of betrayal, hurt, and love she feels for Daryl, her brother-in-law and former fiancé are much more complicated. Daryl is also going through his own emotional baggage with his marriage failing and now the death of his wife and what really happened remains a mystery due to the fact that Cassidy is suffering amnesia after the accident. This story brings out a lot of emotions and it really digs deep to bring out the hopefulness and longing of what good could come out of this tragic outcome for this family. You might just want to have a few tissues ready. I received a copy of this novel from the author. I was not required to post a positive review and all views and opinions are my own. An emotional journey of forgiveness and redemption! 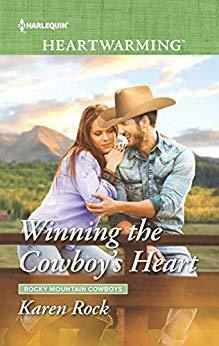 With her signature way of wrapping a group of characters around our heart, Karen Rock brings us the next book in her Rocky Mountain Cowboys series. Daryl Loveland has to figure out how to ease his children’s pain over the loss of their mother, and deal with the feelings about having the love of his life standing in front of him again. Loved the raw emotions brought to the surface with this cast of characters! Journalist Cassidy Fulto 4 1/2 STARS! Journalist Cassidy Fulton doesn’t remember how she wound up being back in Carbondale, Colorado much less how it came to be that she was in the car with the sister she hadn’t spoken to in a decade during the car crash that killed her! Cassidy is a Journalist has been working hard getting herself in dangerous situations to reveal the truth behind corruption in different countries. Now shes back home with no memory of a crash she was involved in, the same crash that killed her sister. While trying to gain her memory back of what happens shes going to stick around for Daryl brother-in-law and former fiance. If she didn't have enough on her place old feelings arise and she has an itch to go back to her high risk journalism job th Cassidy is a Journalist has been working hard getting herself in dangerous situations to reveal the truth behind corruption in different countries. Now shes back home with no memory of a crash she was involved in, the same crash that killed her sister. While trying to gain her memory back of what happens shes going to stick around for Daryl brother-in-law and former fiance. If she didn't have enough on her place old feelings arise and she has an itch to go back to her high risk journalism job that would save people. Hold onto your seats! This book is sure to take you on a roller coaster of emotions! Daryl Loveland and Cassidy Fulton have a complicated past, but it only becomes more complicated when Cassidy is forced to move in with Daryl. Will they be able to ignore the past and move on? Author Karen Rock does an amazing job at captivating the reader attention through the twist and turns of this story. She also creates realistic characters that will tug at your heartstrings. This is the first book I have rea Hold onto your seats! This book is sure to take you on a roller coaster of emotions! 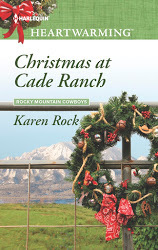 This is the first book I have read by Author Karen Rock, but I loved this story so much I bought Christmas at Cade Ranch (first book of this series), to get to know the other characters and their stories! There is so much emotion packed into this as is usual for Karen's books. I hurt for Daryl and his munchkins so bad. They were going thru hell, everything had fallen apart. They were all lost. Daryl wasn't a saint, but he was trying. This is a 2nd chance romance that almost didn't make it, emotionally or physically. How can you find closure with someone when they're dead? This wrecked me! I wanted it all fixed. Cassidy wasn't a favorite of mine, but she didn't deserve what her own sister had done There is so much emotion packed into this as is usual for Karen's books. I hurt for Daryl and his munchkins so bad. They were going thru hell, everything had fallen apart. They were all lost. Daryl wasn't a saint, but he was trying. Cassidy wasn't a favorite of mine, but she didn't deserve what her own sister had done all those years ago. Without spoilers, some of her current actions floored me. I felt her balance of life was totally skewed, I had to keep reading. Super intense toward the end. Daryl proved to be a real hero, all with a cowboy's heart. Oh, there's a bit of backstory news that may have you reading all the rest in this series, if you haven't yet, not necessary, but wanting to. I received an ARC from the author thru NetGalley. All opinions and thoughts are totally my own. A Rancher to Remember has everything you want and expect from a second chance romance. There’s grief, pain, restoration, romance (of course), kissing (swoon), and so much more. Both Cassidy and Daryl certainly have their flaws, but to be honest that just makes the story even better. I do not like heroes that come “save the day” after leading their “perfect” lives. It’s just not realistic. But Rock brings characters to her books that you can connect with, and learn a lesson from! While I haven’t A Rancher to Remember has everything you want and expect from a second chance romance. There’s grief, pain, restoration, romance (of course), kissing (swoon), and so much more. Both Cassidy and Daryl certainly have their flaws, but to be honest that just makes the story even better. I do not like heroes that come “save the day” after leading their “perfect” lives. It’s just not realistic. But Rock brings characters to her books that you can connect with, and learn a lesson from! While I haven’t read all the books in this series, I did not feel as if I had missed anything. However, I have really enjoyed the ones I have read, so I will for sure be adding the others to my TBR pile. I highly encourage you to do the same! A Rancher to Remember by Karen Rock takes readers back to Carbondale, Colorado. The Cade/Loveland feud has been resolved, but there are still several Lovelands waiting to find their HEA. Daryl Loveland thinks he has something to prove because he’s an adopted Loveland and it means giving up everything to stay in Carbondale. When his first love Cassidy Fulton comes back he realizes that there is more to life than staying on the ranch. 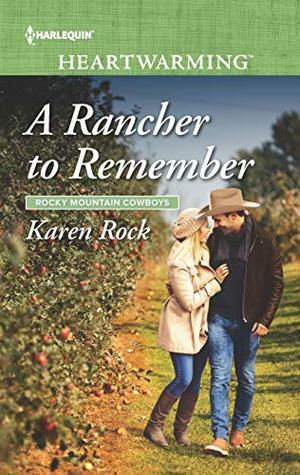 Daryl and Cassidy have more than their fair share of challenges A Rancher to Remember by Karen Rock takes readers back to Carbondale, Colorado. The Cade/Loveland feud has been resolved, but there are still several Lovelands waiting to find their HEA. Daryl Loveland thinks he has something to prove because he’s an adopted Loveland and it means giving up everything to stay in Carbondale. When his first love Cassidy Fulton comes back he realizes that there is more to life than staying on the ranch. Daryl and Cassidy have more than their fair share of challenges before they get to their HEA. Rock weaves love and loss and a strong sense of duty into the story which gives it a richness of layers. This heartwarming romance will worm its way into your heart, keeping you reading long after the lights should have been turned out. I really enjoyed the book. Having children in a book makes it so special. Cassidy is in a accident and loses her memory. But only the part of what happened right before her accident. She is trying to remember why she was with her sister at the time. Her sister passed away in the accident. 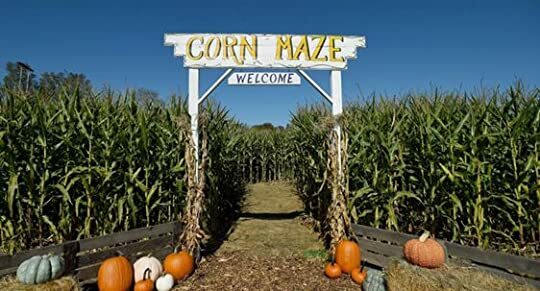 That leaves her husband Daryl and Cassidy trying to figure out the mystery. Cassidy also has a fun but dangerous job. She is in the Philippines doing a story. This is part of a series, but is basically a stand alone. I have enjoyed all the books in the series. I look forward to reading the next book in the series.